A new style of ear piercing flaunted by many youngsters these days, anti-tragus piercing is the perforation of the cartilage fold adjacent to the lobe and tragus. 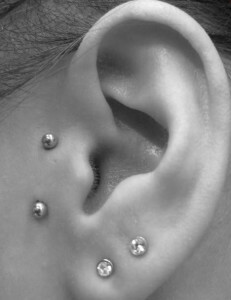 Get it done if you are looking for a unique way to express your personality. 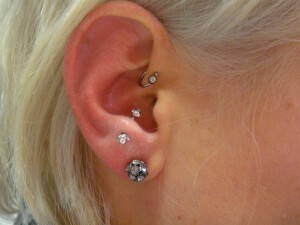 Find a good piercing salon to get the piercing done in a safe way. 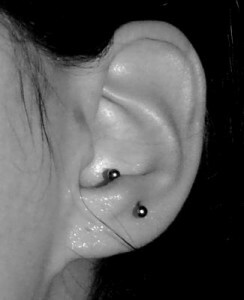 Once the area is cleaned, the professional piercer marks the exit and entry spots with a permanent ink marker. 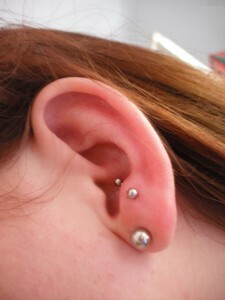 A thick, hollow needle is passed through the cartilage, followed by insertion of the jewelry to complete the piercing. Being a cartilage piercing, it invokes a great amount of pain though some people with high pain threshold may get less hurt. 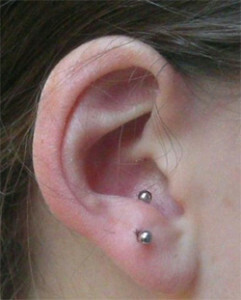 As seen in most fresh piercings, the pierced area may bleed and become crusty in the initial days. It will take about 8 to 18 weeks for complete healing. You need to keep the pierced region clean to cut the risk of infection. 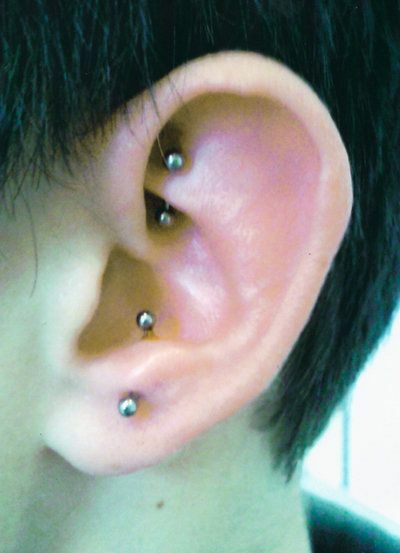 In case of extreme swelling, redness, and pus discharge take medical aid as the infected piercing may turn severe, causing other complications. Careless handling or incorrect placement of the jewelry may result in migration and rejection despite the fact that cartilage piercings have a low migration rate. 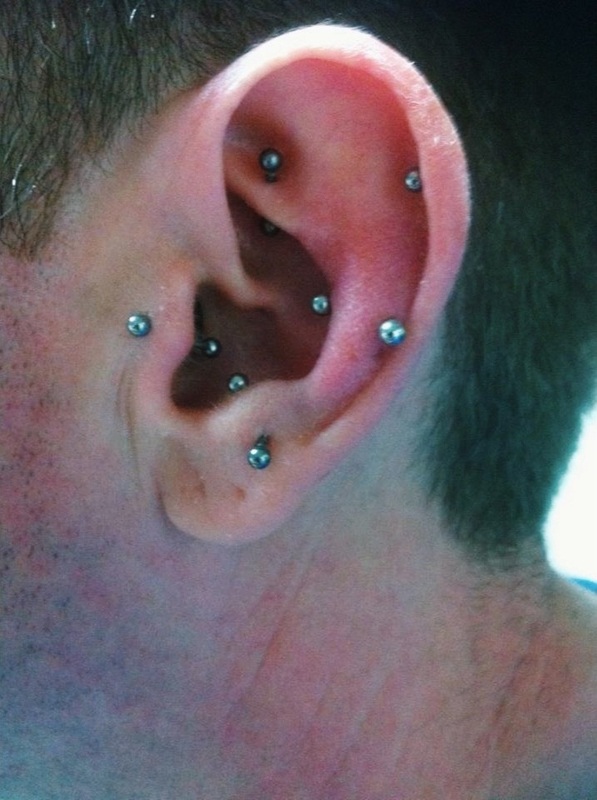 Since it is one of the versions of ear piercing, you can adorn it with circular barbells, curved barbells, and ball closure rings to look voguish. Wearing micro jewelry for smaller piercing facilitates faster healing. 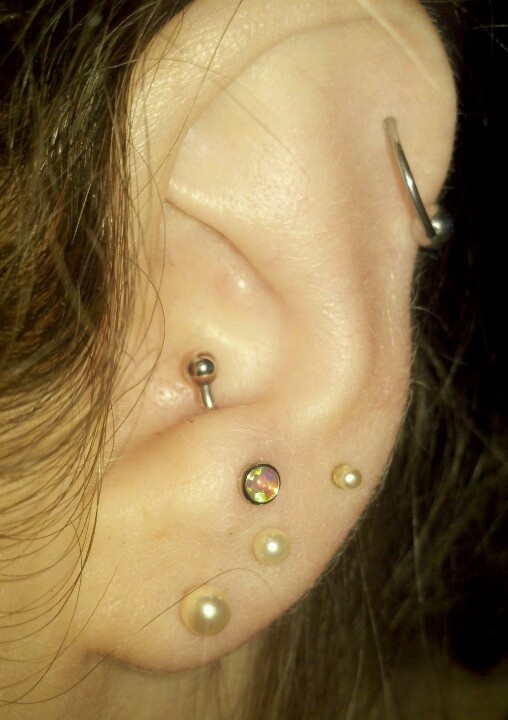 In any reputable piercing studio, you will be charged around $40 for it. 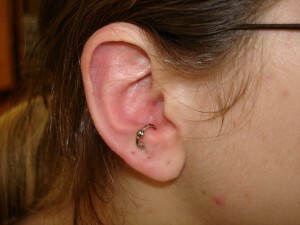 Here two perforations are made on the tiny fold of cartilage.